When it’s all said and done, the Premier League is the best league in the world. That’s a subjective statement and yet most of us could agree it’s true. The Premier League and its late season drama is as close to perfection as you can get. And yet, with one simple rule change it can still be made even better; it can be even more exciting. Every European soccer league operates in a similar fashion. Teams play everyone else once at home and once away. You get three points for a win and one point for a draw. Whoever has the most points at the end of the year is the champion. Simple, right? But what do you do when two teams are tied? Turns out, every league has a different way settling it. In England, ties are broken by looking at total goal differential, followed by total goals. If it’s still tied, and the championship, European qualification, or relegation is on the line, a one match playoff would break the tie. Those rules aren’t bad. In Europe’s top five leagues only England, Germany, and France even have the option of a playoff game. Spain uses Fair Play calculations (ridiculous), and Italy has a random draw (even more ridiculous)! England’s current setup is designed to give equal weight to every match. A side effect of that is it actually takes away importance of games between the title contending sides. Titles often aren’t won by how teams fare against the other big clubs, but rather how they do against everyone else. It shouldn’t be like that. 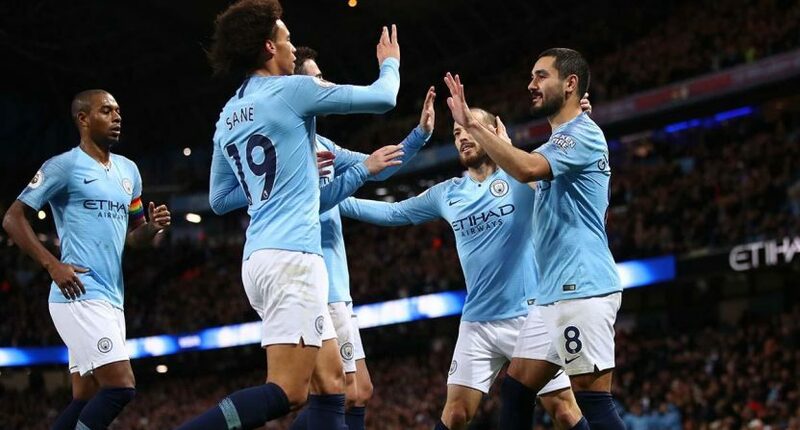 If Manchester City and Liverpool are going neck and neck for the title, then those games between Manchester City and Liverpool should have more on the line. That could be easily achieved by just creating a hybrid between the Premier League’s tiebreak rules and the ones used in La Liga and the group stage of the Champions League. This would be a very minor tweak. It wouldn’t officially make any match more important than any other, but for each team it would. In most years nothing would come off it, the Premier League has only been decided by goal difference once. But this year isn’t most years. On New Years Day, Liverpool were seven points clear of Manchester City at the top. Chelsea were in fourth place, five points clear of Arsenal and eight points clear of Manchester United. There was still half a season to go, but the table seemed pretty set. Fast forward to today and it’s a completely different story. City are now one point above Liverpool. United sit fourth, one point above Arsenal and two points above Chelsea. They’re only three points behind Tottenham who can easily get sucked into this mess. The races are extremely close and the odds of there being at least one tie are better than ever. This Sunday, Arsenal host Manchester United in what is now a huge match in the top four race. Arsenal’s goal difference is two better than United’s. A United win would both put four points between and help reverse the goal difference, an Arsenal win would see them jump the Red Devils and put more distance in the tiebreaker. Now imagine if we were playing by the other rules. Earlier this season, these teams played a 2-2 draw at Old Trafford. That would mean there’s everything to play for in this game, as a winner would be guaranteed the tiebreaker advantage. That would immediately make this an even bigger match for Arsenal and United. It wouldn’t change the top four race for anyone else, but it would give the winner a little bit of insurance. This rule change would effectively make every fixture part of a two-legged tie. The downside to two-legged ties is teams sometimes play for a draw in the first leg, in hopes of winning the whole thing in the second leg. That wouldn’t be an issue here because these ties would be part of a bigger picture. If Arsenal traveled to Stamford Bridge in November, they wouldn’t set out to get a draw in hopes of beating Chelsea at the Emirates in April. That November draw may help Arsenal get a leg up on Chelsea, but it would still be two points dropped that Manchester United and Tottenham could take advantage of. If two teams end up even on points it will be because they were basically just as good as each other at beating everyone else. From a sporting perspective, the Premier League would be far better off breaking the tie based on how the teams did against each other rather than because one team only beat Huddersfield 2-0 while the other won 5-0. From an entertainment perspective, the games between the top teams would have just that much more importance. Who could complain about that?